Limited qty available in each size. 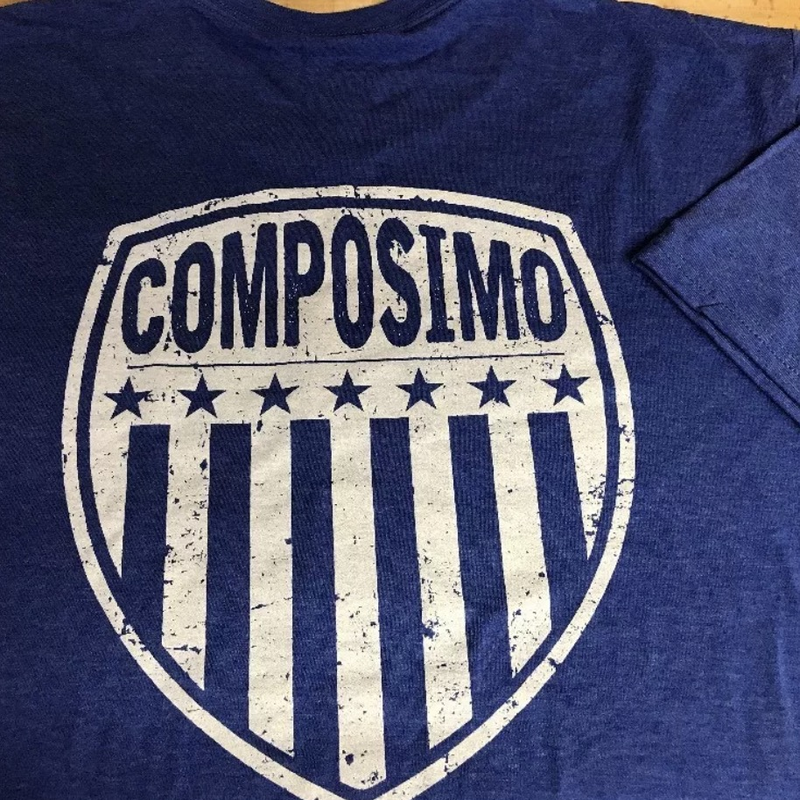 "ComposiMo - American Made" printed large on the front, and a large ComposiMo Crest logo on the back (See Pics). Check the drop-down to select your size... if your size is not listed, it is not available right now, sorry. 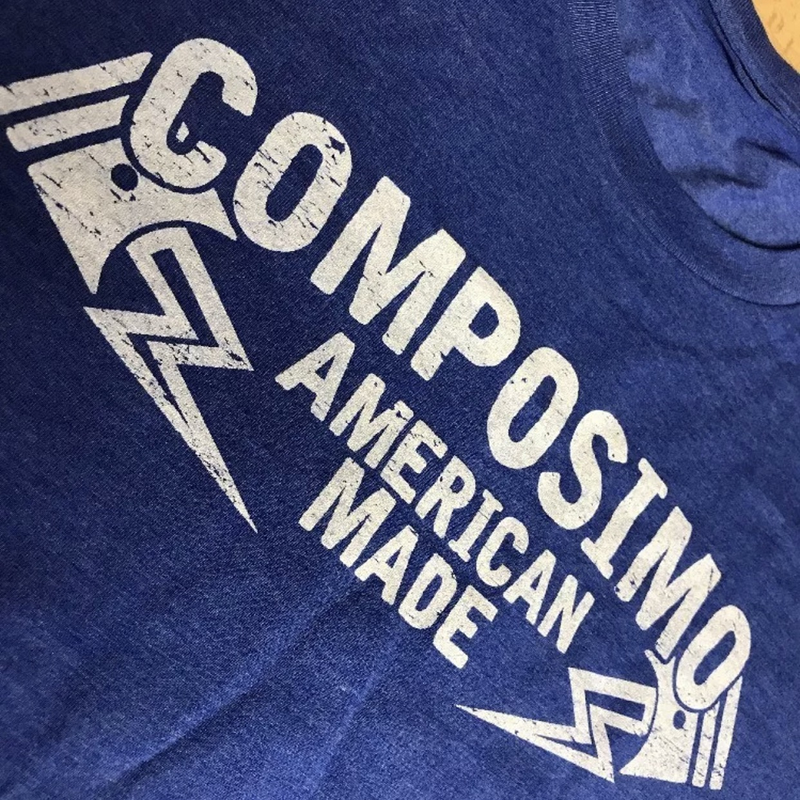 The shirts are VERY high quality, and lightweight/breathable TRI-Blend fabric made by 'District Made', with an easy tear-off tag, so no ANNOYING tags in the shirt! I've been using/abusing these shirts for a long time now, and they've held up to daily shop abuse better than any other shirt! Awesome! 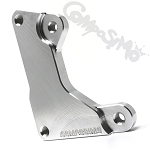 *Sizing does run a touch small, so if you have a shirt like a 'Gildan' Brand that you like, and it is a bit tight in the size you normally wear, then order a size larger!